You called for uz boss? 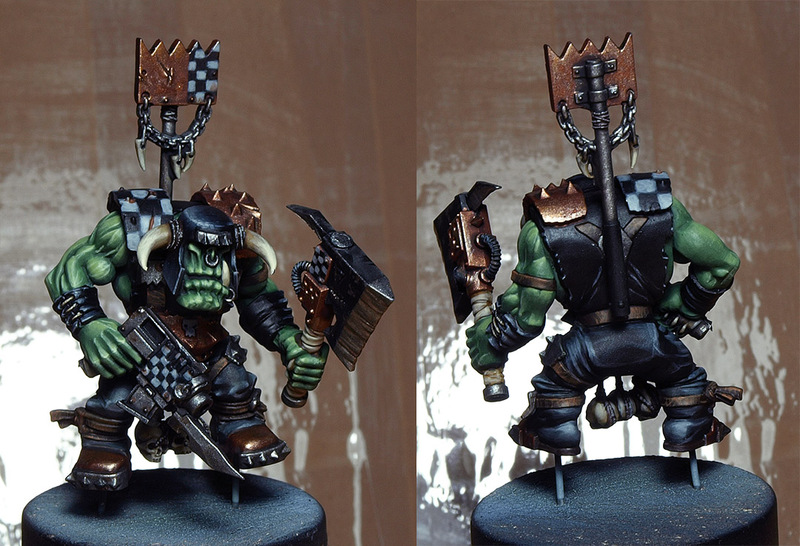 I've airbrushed some white zenithal lighting from above, then some warboss green onto it. Next step was overall washes with biel-tan green and then waaagh! flesh (made into wash). For the highlighting I've started with glazes of warboss green, then warboss green + skarsnik green, then skarsnik green, and then skarsnik green with ogryn camo. The first glazes was unnecessary as I've concluded later. Final step was skarsnik green with ogryn camo mixed with white for some highlighting lines. Well the skin looks great man, really pops, great choice of colours... I’m eagerly awaiting to see how these progress, along with all your other projects. its funny how how you say the 1st glaze was unnecessary, sometimes I think this when building up colours, but then I realise that even though it’s not notacable it actually gives a bit of body to the next progression and really makes a difference smoothing out the transition. Excellent work-vibrant colors- I normally don’t paint with this kind of pallete but when I see others do it I always am so quick to eat this visual and beautyful eye candy!!! Those orks are looking superb so far Arkaan. Really top notch skin. Loving these! Well that took me awhile but at last I'm back at painting.Nonetheless thank you all for comments! Last edited by Arkaan; 05-14-2018 at 02:58 AM. Welcome back, mate! And good stuff to show, w00p w00p! They look great. Really moody and atmospheric. Fantastic work on this latest stuff, all looking great... I really like the ork skin, very cool. NICELY DONE ARKY ON BOTH.THE ORK ......beutiful greens and a long very black all around( not easy but you’ve crafted it beautifully bud).) the guard...what can I say I’ve seen so many versions including my own and each one ( yours the most recent) more astonishing than the one before. Job well done on some sensational work. Love the skin and muscle work on the Ork Arkaan, really nice tonal work and use of highlights to create the muscle structures. 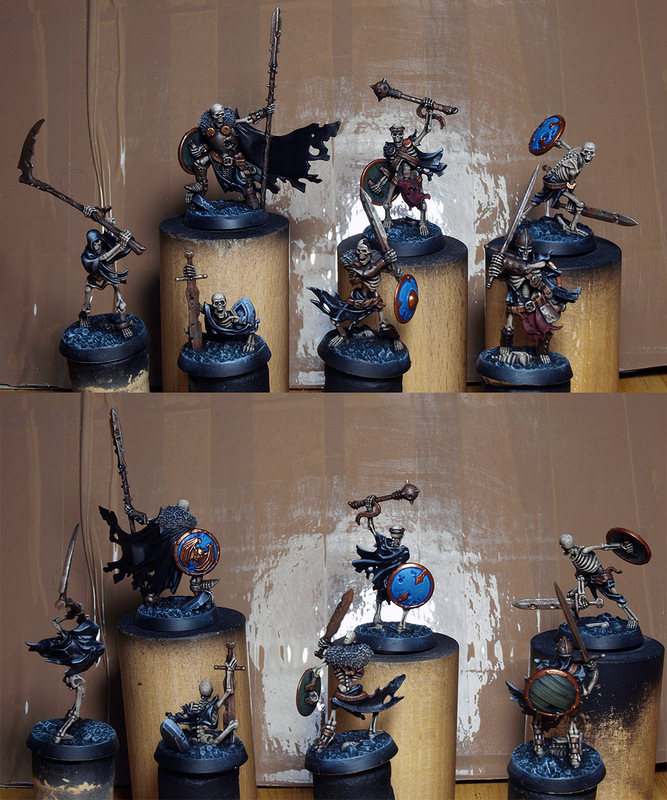 I've painted some Gors that were hiding in closet for over 2 years. One with the big axe was painted at that time long ago so it looks a bit different. I only foused on painting good skin, the rest was just some relaxing distraction from all the life problems.